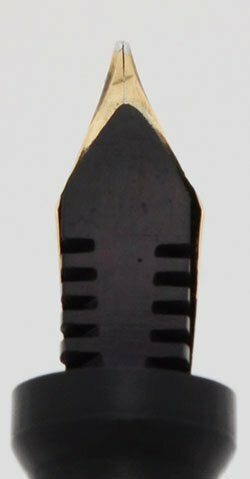 An entry level pen by one of the better second tier American pen makers of the 1910-1920s. 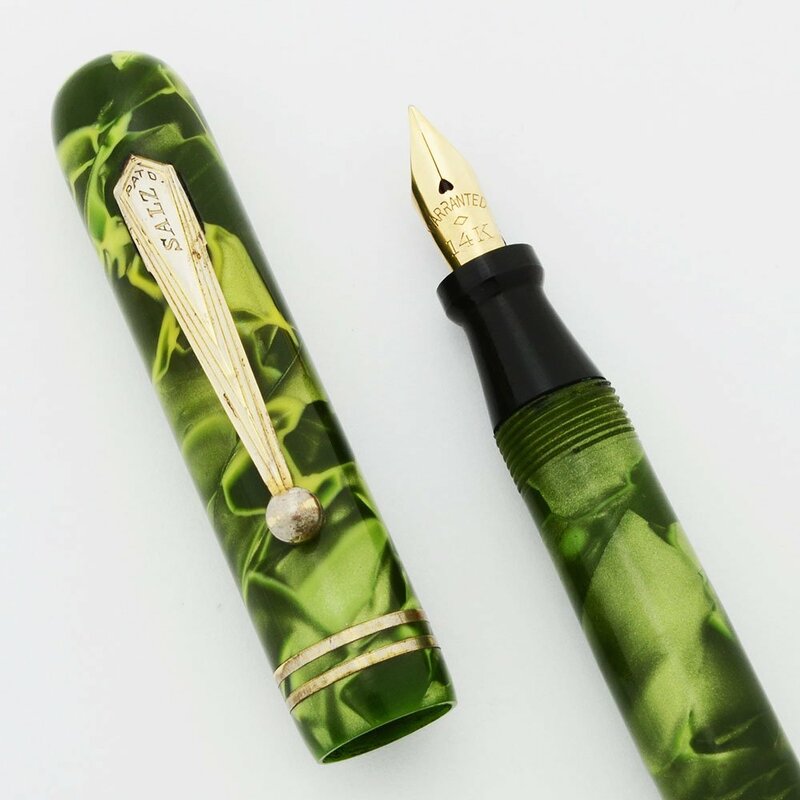 The pen is green marble with shades of lime, jade, and forest green. The color is vivid. 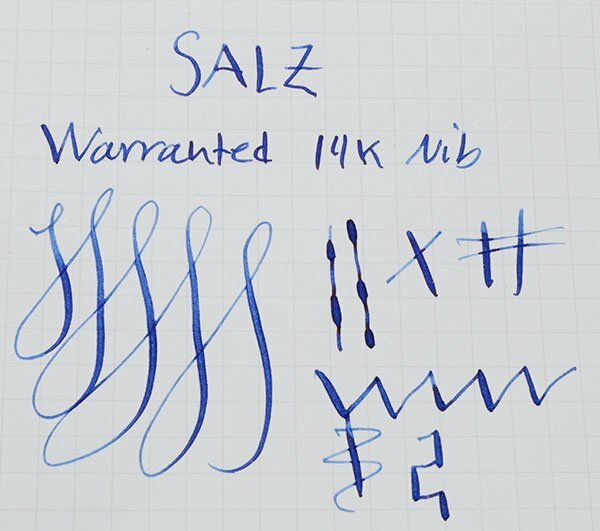 Fine flexible Warranted 14k Nib. Excellent condition. Color Green marble celluloid with gold plated trim. The color has a pearlescent quality. The green ranges from lime to jade to forest green. The ends are rounded and continue the color profile of the pen. Nib FLEXIBLE FINE. Warranted 14k, lots of tipping material (see Writing Sample, below). Condition Excellent condition for this beautiful, brightly colored pen. There are light to moderate scratchmarks throughout, but these do not detract from the pen's deep shine. There are horizontal capping lines on the barrel. The trim and clip have quite a lot of plating wear. The very top of the cap has a small brown fleck to the upper right of the clip. The imprints on the clip and nib are clear. No cracks, chips, dings, or deep scratches.